Formulated to be fed as the basic diet for primates such as Capuchins, Wooly Monkeys, Squirrel Monkeys, Gibbons and Rhesus Monkeys. This highly palatable diet provides complete nutrition when a source of Vitamin C is provided. Formulated to be fed as the basic diet for all Marmosets and Tamarins, such as Common Marmosets, Pygmy Marmosets. Golden Lion Tamarins, Cotton-top Tamarins, White-lipped Tamarins and others. Mazuri Monkey Crunch 20 Biscuit is a highly palatable, crunchy treat formulated for dietary enrichment. Monkey Crunch is nutritionally balanced to ensure primates are receiving all of the necessary nutritional components. Mazuri® New World Primate Biscuit is a highly nutritious, palatable primate food that is formulated for the small species of New World monkeys in all life stages. These primate biscuits are designed to be supplemented with the addition of species-appropriate food items to allow for natural feeding behaviors. 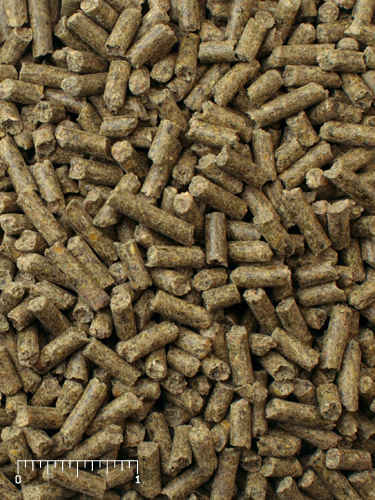 Mazuri® Chinchilla Diet offers proper chinchilla nutrition in pellet form for all life stages. This highly palatable, sweet-smelling chinchilla food contains Timothy hay for fiber and flaxseed for Omega-3 fatty acids as well live probiotics to support gastrointestinal health in these night-feeding mammals. Mazuri® Crocodilian Diet-Large is a complete crocodile food designed for large crocodilians under managed care. This floating pellet crocodile food is designed to be tossed into the water to encourage animals to come to the surface for feeding. These large crocodile pellets may also be tossed directly into the animal’s mouth for training. 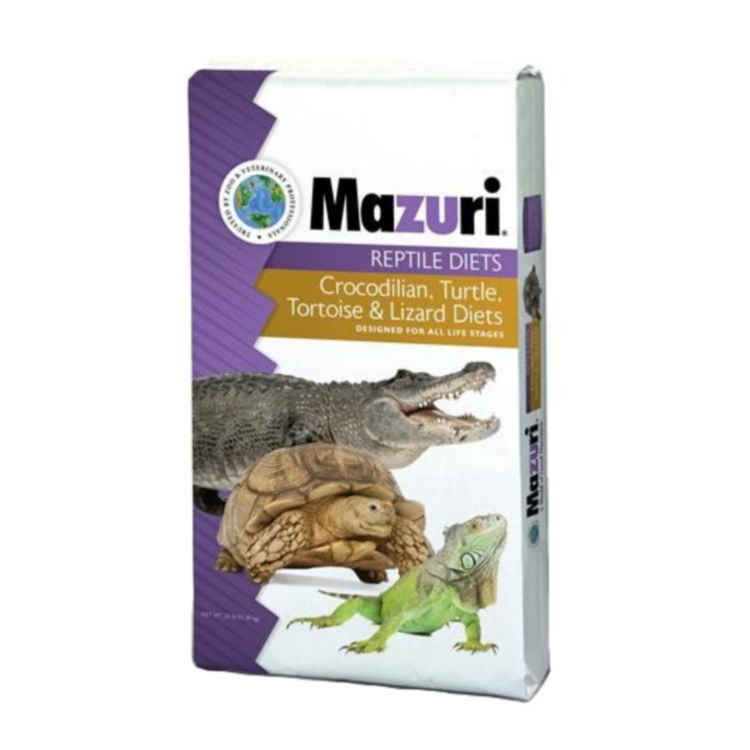 Mazuri® Crocodilian Diet-Small is a complete crocodile food designed for small crocodilians under managed care. This floating pellet crocodile food is designed to be tossed into the water to encourage animals to come to the surface for feeding. These small crocodile pellets may also be tossed directly into the animal’s mouth for training. Mazuri® Ferret Diet offers proper ferret nutrition in an extruded form for all life stages of ferrets. This highly palatable, nutrient-dense dry ferret food contains multiple animal derived proteins appropriate for carnivores. 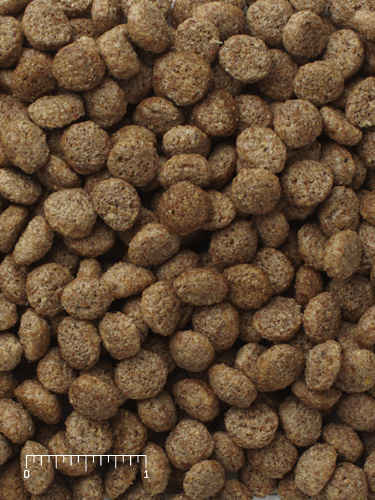 Mazuri® ferret food contains high quality ingredients for high digestibility. Mazuri® Flamingo Breeder Diet can be fed as the staple diet to breeding flamingos, cranes and other crustacean eating birds. In addition to high levels of vitamins and fish proteins to provide complete flamingo nutrition, this floating flamingo food contains canthaxanthin to maintain the birds’ vibrant plumage color. This Mazuri® floating diet allows for feeding of birds in the water and helps avoid the accumulation of uneaten food on the bottom of the feeding area reducing contamination and waste. Mazuri® Flamingo Complete can be fed as the staple diet to flamingos and other crustacean eating birds. In addition to high levels of vitamins and fish proteins to provide complete flamingo nutrition, this floating flamingo food contains canthaxanthin to maintain the birds’ vibrant plumage color. This Mazuri® floating diet allows for feeding of birds in the water and helps avoid the accumulation of uneaten food on the bottom of the feeding area reducing contamination and waste. Mazuri® Insectivore Diet is a highly palatable insectivore food that simulates the high-protein, high-fiber diet of a wide range of insectivores, including mammals, birds, reptiles and amphibians, Anteater / Aardvark. This diet may be used as a replacement for all or some of the insect component of the diet. Although gut loaded insects may be part of the insectivore diet, no supplementation is needed when using this insectivore diet, which contains taurine at levels that meet the recommendations for carnivores. Mazuri® Kangaroo/Wallaby Diet is specifically designed for kangaroos and wallabies of all ages containing high levels of vitamin E and selenium help to prevent white muscle disease. This kangaroo and wallaby food promotes and reproduction. Mazuri® Ostrich Grower/Maintenance is a complete diet for growing and adult non-breeding ostriches, rheas and emus. 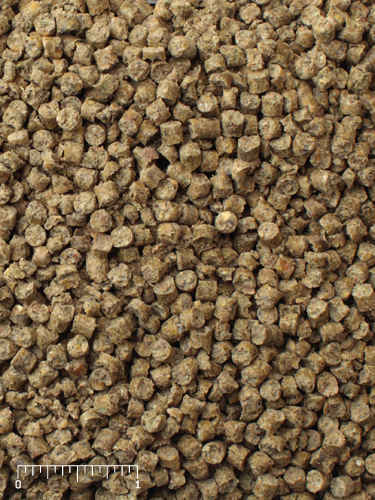 This pelleted diet contains a moderate level of fiber, protein and energy to help birds grow at appropriate rates. Mazuri® Ratite Starter Diet is a complete ratite food designed to get newly hatched emus and ostriches off to a good start. 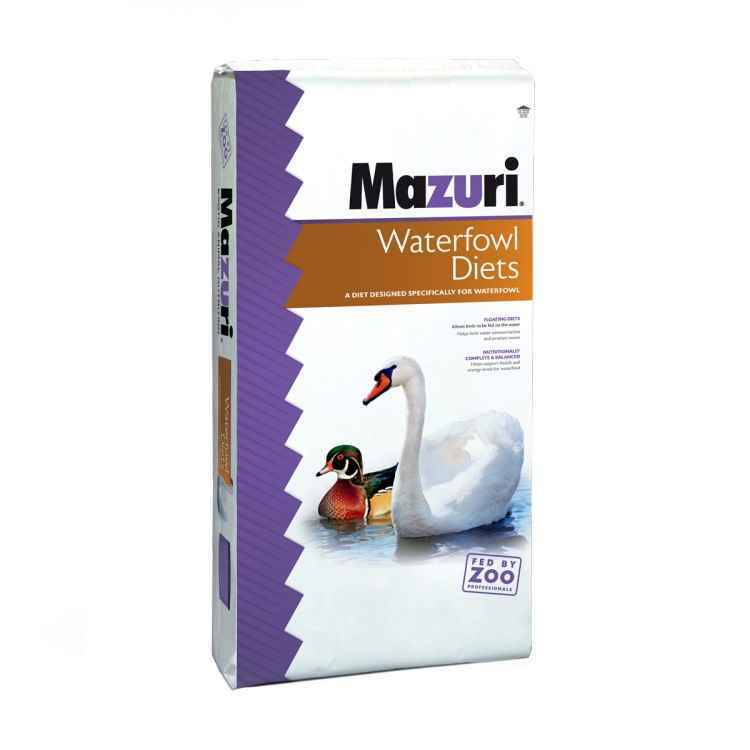 Mazuri® Waterfowl Breeder Diet is formulated to optimize breeding performance, egg numbers, fecundity and chick viability for common ducks and other ornamental waterfowl. 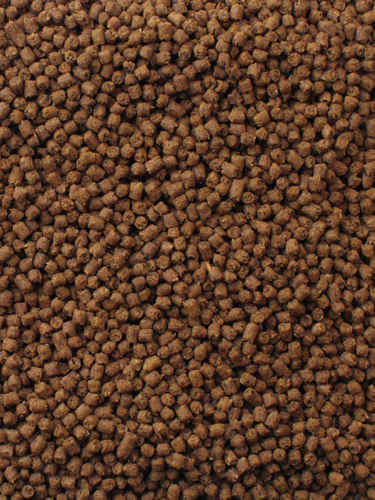 This waterfowl food is designed to meet the nutritional needs of the vast majority waterfowl. Containing fishmeal, this floating waterfowl diet allows for feeding of birds in the water and helps limit the accumulation of uneaten food on the bottom of the feeding area limiting contamination and waste. *Special orders take 7 to 10 working days to receive after you place your order. We will contact you upon receipt.